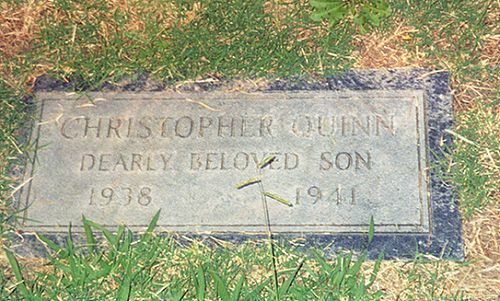 The son of Anthony Quinn- and the grandson of Cecil B. DeMille, 2 1/2 year old Christopher drowned in a small pond on the property of W. C. Fields, DeMille's Los Feliz neighbor. Fields immediately had the pond filled in. He is buried near his grandparents at Hollywood Forever.